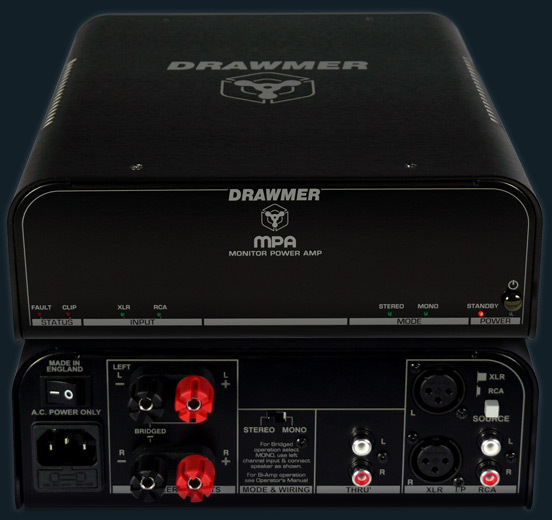 As the perfect partner for Drawmer MC series of monitor controllers, the MPA-90 is a high performance Class D Stereo Power amplifier delivering 90W per channel into 4 Ohms (50W per channel into 8 Ohms) or, when in mono, acts as a 180W into 8ohms Monoblock. 1x180W into 8 Ohms bridged mode. 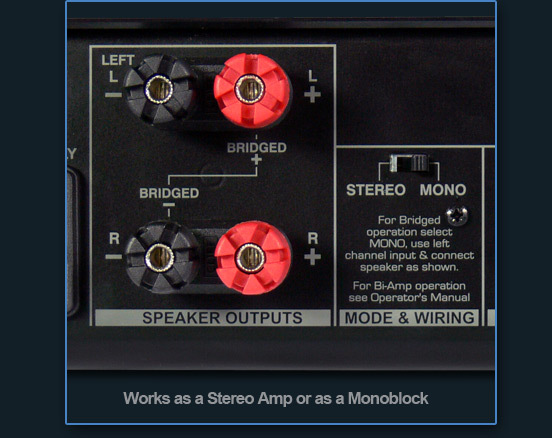 Stereo/Mono switch to use as a Stereo amplifier or as a Monoblock in Bridged or Bi-Amp Modes. 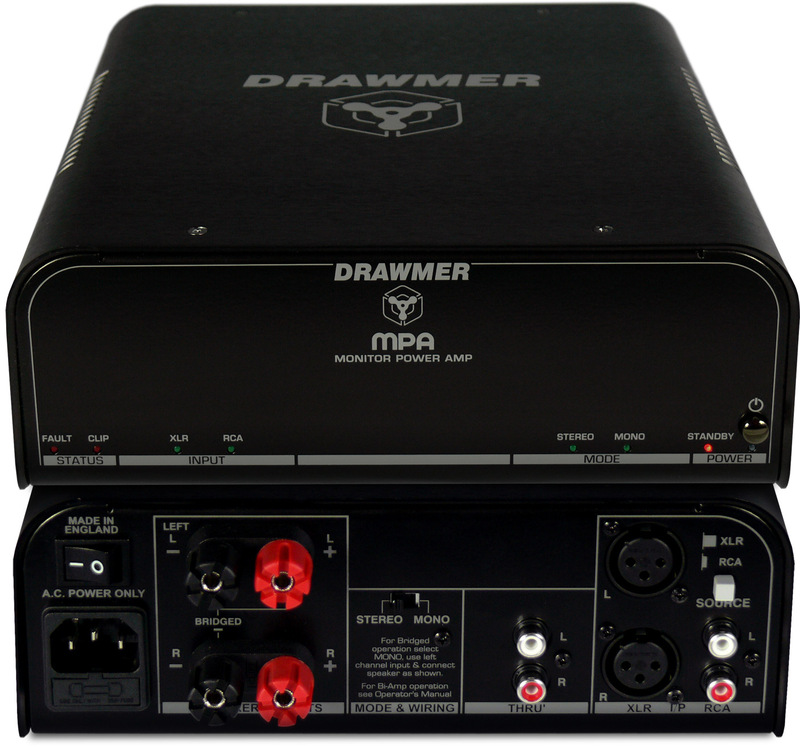 Switchable balanced Neutrik XLR and unbalanced Phono inputs. Efficient, low heat design with Low Power Consumption. Consumes only 10W of power when idling and a maximum power consumption of 55W when driven, and only 0.2W when in standby mode. Thermal, overload and power up/power down protection. Dimensions: L 272mm x W 215mm x H 81mm.